Blueberry-Lemon Loaf | Rosetta Bakes! 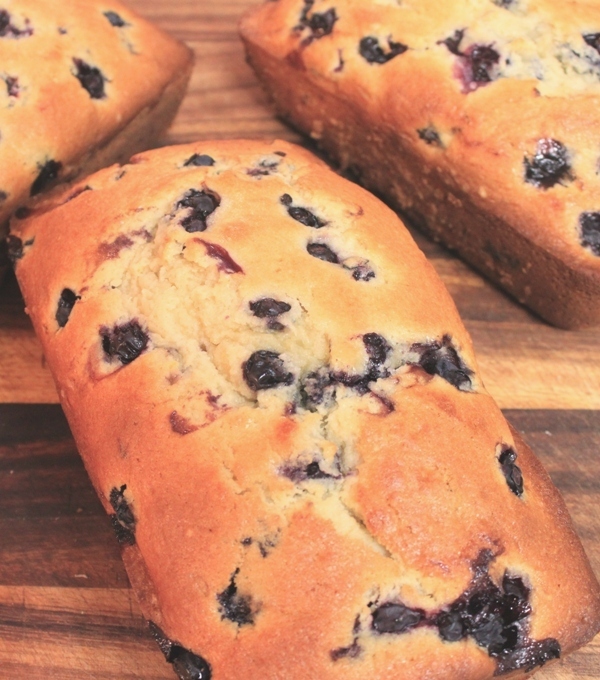 Here’s another great recipe for blueberry bread. 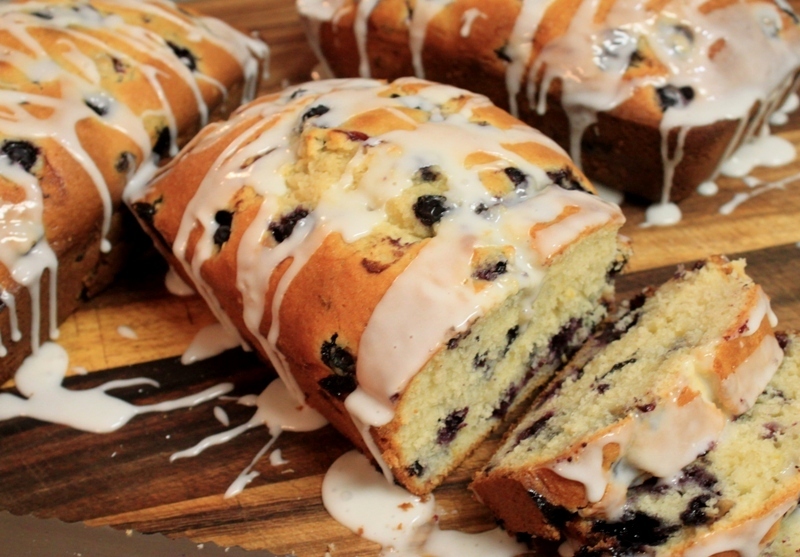 I have posted another blueberry bread recipe called “Lemon Blueberry Drizzle Bread” and this one is also very good. I don’t think you will be disappointed with either one. This bread as well as the other recipe are in my ‘to keep’ recipes as long as I am still able to bake. I took several loaves of this bread to work and it disappeared so fast; I think if I made 10 loaves it would not have been enough. I hope you enjoy this bread as much as I do, and you can’t go wrong with either recipe. 1. Preheat oven to 350F. Grease the bottom and s1/2 inch up sides of an 8 x 4 x 2 inch loaf pan; set aside. In a large bowl stir together flour, sugar, baking powder and salt. Stir in lemon peel. Make a well in the center of flour mixture; set aside. 2. In a medium bowl combine eggs, milk, and melted butter. Add egg mixture all at once to flour mixture. Stir just until moistened. Fold in blueberries. Spoon batter into the prepared loaf pan, spreading evenly. 3. Bake for 60 to 70 minutes or until a wooden toothpick inserted near the center come out clean. If necessary to prevent overbrowning cover loose with foil for the last 15 minutes of baking. 4. Cool in pan on a wire rack for 10 minutes. Remove from pan. Cool completely on wire rack. Wrap and store overnight before slicing. Makes 14 servings.